Properties in Saint-Solve average 4.6 out of 5 stars. 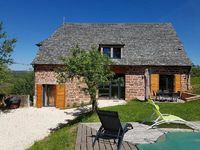 Farm with detached guest house, magnificent views and private pool. Property 3: Farm with detached guest house, magnificent views and private pool. Spacious house on a hill with views and shared pool. Property 6: Spacious house on a hill with views and shared pool. 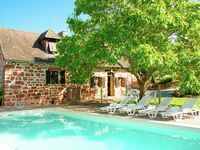 Spacious, authentic farmhouse in a hamlet with magnificent view and swimming pool. Property 9: Spacious, authentic farmhouse in a hamlet with magnificent view and swimming pool. Detached villa with pool, private garden and a beautiful view. Property 13: Detached villa with pool, private garden and a beautiful view. 16th century tower with large garden and beautiful views. Property 20: 16th century tower with large garden and beautiful views. Spacious, authentic farmhouse in a hamlet with magnificent view and pool. Property 24: Spacious, authentic farmhouse in a hamlet with magnificent view and pool. Cozy and very large family house with heated pool, sauna, terraces and garden. Property 26: Cozy and very large family house with heated pool, sauna, terraces and garden. Property 28: 3 bedroom beautiful annex. The property was a lovely property nice and rustic with great views, The pool is a good size. We were a short distance away to visit all the local tourist attractions and places of interest. The property owner was a great host warm kind and friendly and couldn&rsquo;t do enough for us. It is a place I would visit time and time again. We loved this house. The only thing i would change is the length of our stay. We enjoyed the proximity to the Black Perigord region as well as the tiny village the house is in.